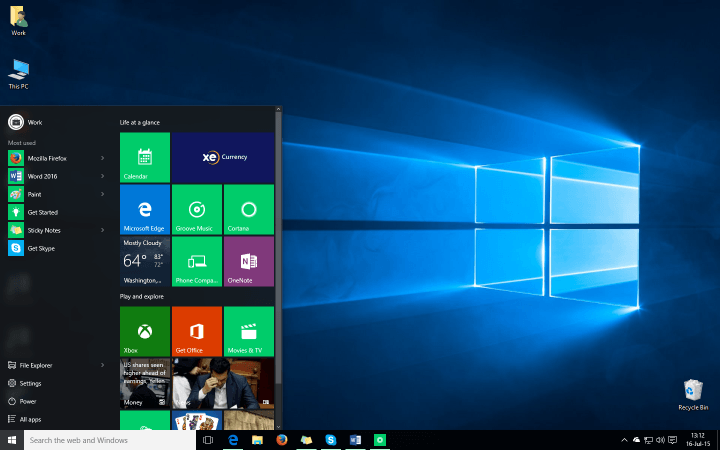 Microsoft released the latest build 10240 for Windows 10 Technical Preview yesterday. This build is being reported as the Windows 10 RTM, and is believed to be the last Windows 10 build for Insiders before the final release on July 29th. The most notable interface change in this build is the removal of watermark, which is the clear sign that company is using this build as the RTM version of Windows which is provided to manufacturers all over the world. This build has been released to both Fast Ring and Slow Ring users and you can download it through Windows Update. Since this is probably the RTM version of Windows 10, we don’t expect any bigger changes until the release. Only thing Microsoft could do more is fixing a couple of minor, final bugs. Besides removing the watermark and improving Edge’s performance, we didn’t notice any other changes in this build. So if you noticed something we missed, feel free to tell us in the comments, I’m sure our readers would love to know all available details about this ‘special’ Windows 10 Technical Preview build.